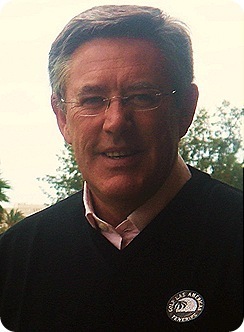 Brendan Breen The New Commercial Director Of Las Americas Golf Course. I met with Brendan, for the first time, last week at the lovely Las Americas golf course in the Centre of Las Americas in Tenerife and to be honest we could have been in a country club rather than a busy town centre golf course as its completely surrounded with palm trees and lovely colourful bougainvillea which more than blocks out any traffic noises, and now as all the construction is finished around the whole course it makes this place a little oasis for the disconcerting golfer. We sat on the raised balcony,outside the restaurant, overlooking the 18th green in 22 degrees, the perfect setting for our chat. Brendan I found to be a very approachable chap, when we met he immediately ordered the coffee, which put him in my good book’s right from the start. We started by discussing Brendan’s past employment and the time he has been here in Tenerife. After leaving Clonkeen College in Dublin, Ireland he joined a merchant bank and was on track to complete a career in Banking but like most things in life fate kicks in and his career path was changed. A good golfer as a young man, playing off low single figures. Whilst at the bank he was asked one day if he would be interested in showing a group of wealthy American tourists round some of the better Golf courses in his native Ireland on behalf of the Irish tourist board as they had just started “Golf Ireland” a new initiative to bring American golfers to Ireland. 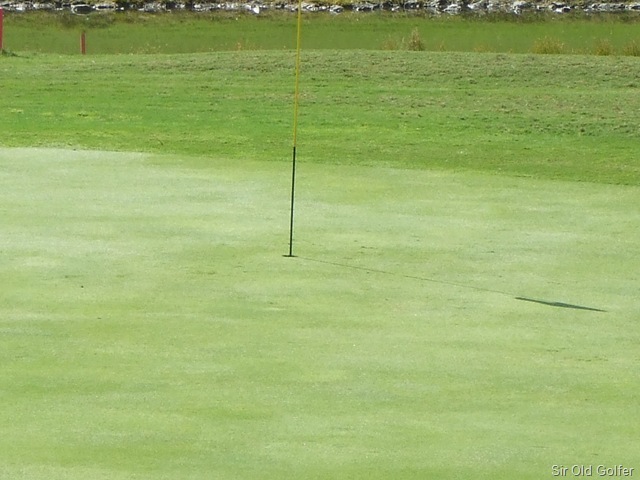 Brendan jumped at the idea, a chance to play some of the best courses on offer and get paid for it, little did they know this would change the path of his future career. Within a few years the trips were a great success and Brendan was offered a senior position with a newly founded company to represent Canadian & American Golf Tour Operators in Ireland and the company went from strength to strength.Things went well, very well, and profitably for the next few years as they gained a loyal, growing and repeat customer base. Then disaster struck – Lockerbie and the American bombing in Libya in 1997. After this occurrence the tap was effectively turned off as American and Canadian golfers decided it was safer to stay within their own boundaries rather than travel to Europe. The company which managed to survive the crisis still continues today but Brendan decided to leave in those dark days to find pastures new. Tenerife was the next stop on Brendan’s career as the new Sales and Marketing Manager for a new real estate development on Golf Del Sur called Sunningdale Village which was owned by an Irish company who wanted to develop the Sales & Marketing of the business and needed a man on the ground to look after their and the owners interests, he was that man for 7 years where he settled down into local life and of coarse learned to be fluent in the Spanish language. The neighbouring complex Las Adelfas which was also Irish owned subsequently lured Brendan to work as General Manager of their Tenerife Operation for a period of 9 years. La Gomera the picturesque island off the coast of Tenerife was the next stop on his career ladder going to work with Fred Olsen at the Jardín Tecina hotel and Golf Course as Sales Director. He spent two years there, in a job he loved, but its a small island and I’m sure island fever got to him and he returned to the mainland of Tenerife this time as Sales and Marketing director of one of the most exclusive 5* hotels in the Canary Islands, Hotel Las Madrigueras. The Hotel Las Madrigueras is a small luxurious golf hotel overlooking Golf Las Américas golf course and as we were at the course we jumped on a golf buggy and drove across the course to the hotel,with the press of a button a gate slid open and we drove the buggy right into the heart of the hotel where I was given a tour of this stunning establishment. The owner of the hotel is the same man who owns the golf course and as with all things Santiago Puig certainly does it well and exceeds ones every expectation, 6* would not go a miss here. Brendan tells me many celebrities have stayed here from the world of show business, sports, business and politics but he was far too modest a man to name them. 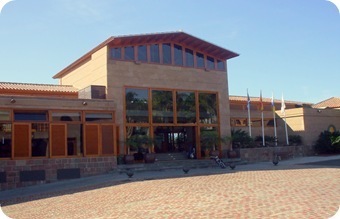 That brings us to his present position as Commercial Director of Golf Las Americas golf course a stunning 18 hole golf facility in the South Of Tenerife, with an attached newly purpose built conference centre. 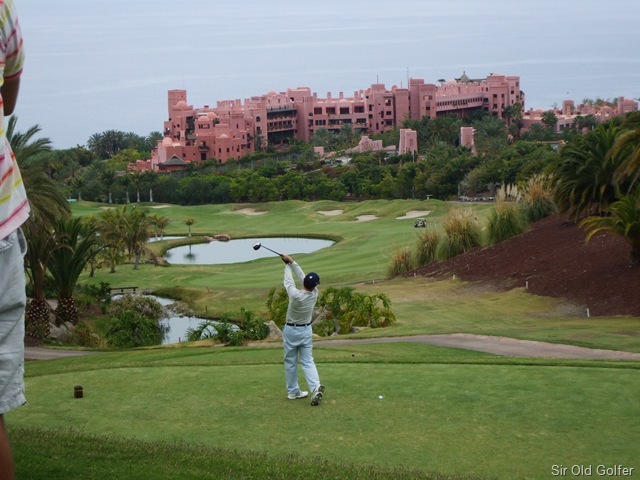 Golf Las Americas is one of the best and busiest courses on the island of Tenerife with all the modern facilities you would expect at such a prestigious establishment. Apart from the day to day running Brendan has to deal with the tour operators and hotel groups who send customers to the course, also in the promotion of the groups business interests both here in Tenerife and abroad attending the many golf fairs and Expos throughout Europe and beyond. He is also heavily involved with the Tenerife Golf Association which promotes all of the islands golf courses and runs the premier golf tournament every year called Tenerife and La Gomera Golf Circuit. 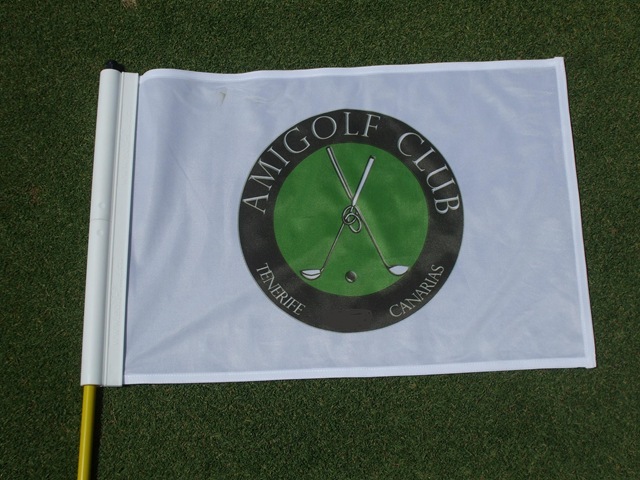 Open to all classes of players with a round being played on each course throughout the islands and sponsored by some of the top brand names on the island and also the Tenerife government and tourist board. Since Brendan has started at the course he has already got to work by assisting in the introduction of a new web site, also linking into the social media of Twitter and Face book, I am sure customers will see the benefits as they visit Las Americas golf course in the future. One such benefit, which I revealed , is the total closure of the golf course for two months in the summer to relay all 18 greens and practice facilities with a fantastic new grass which will do well with the watering and management systems in place at Las Americas. Brendan added, as I was leaving, that a great inspiration in his life has been the cyclist Lance Armstrong whom he has met on several occasions. Lance brought the whole cycling team Astana to Tenerife as a winter training camp, staying of course at The Hotel Madrigueras. Lance Armstrong a cancer survivor himself founded a charity in 1997 called The Lance Armstrong Foundation.The LAF states that its mission is ‘to inspire and empower’ cancer sufferers and their families, under the motto “unity is strength, knowledge is power and attitude is everything” This foundation and its founder mean a lot to Brendan. 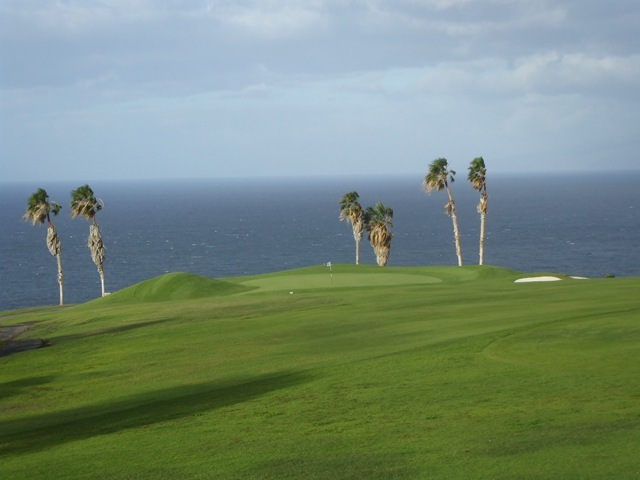 Las Americas Golf Course to close for Major Renovation work. 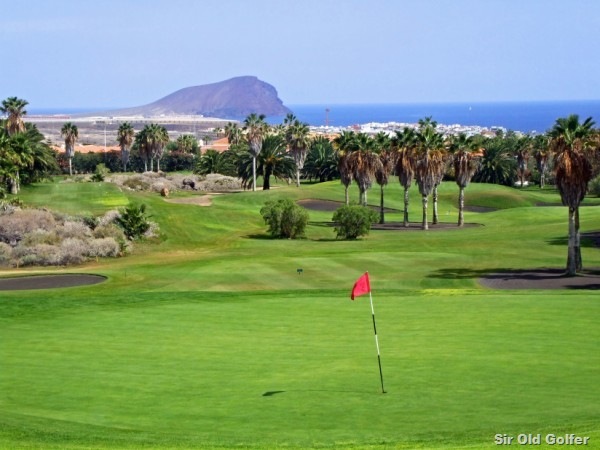 A very brave and expensive decision has been taken by the owners of Golf Las Americas golf course, that is to close the golf course for two months from 1st July to the 1st September, 2010. The reason for the closure is to replace all their 18 greens and aprons along with all the practice area greens, which is great news for their autumn/ winter customers as they will have brand new greens to play on. Was developed at the University of Georgia from a sample collected from Alden Pines Country Club in Bokeelia FL. Alden Pines is owned and operated by Stewart Bennett. SeaIsle 2000 is ideal for golf greens, tees, fairways and roughs, especially in salt-challenged environments. It’s similar to the dwarf bermudas in texture and playability when maintained at 1/8″ mowing height. With regular verti-cutting, light topdressing and periodic rolling, SeaIsle 2000 will deliver stimpmeter readings of 10 feet or more. It’s also well-suited for fairways (1/2″ to 3/4″) and roughs (1″ to 2″) and can be maintained over two-inch mowing heights for penalty roughs. It’s a grass that thrives on salt water as well you can irrigate SeaIsle 2000 using a seawater blend, or even straight ocean water with the right management practices. It also grows quite well when watered from recycled or effluent sources. As drinking water becomes more and more scarce, ocean water and these other low-quality alternative sources are going to be the only option for many golf courses. As you can see Golf Las Americas golf course is taking the lead and planning for the future. Water is a precious commodity here on an island with low rain fall, with a golf course using up to 1000 sq meters a day of recycled water in summer. I wish Las Americas golf course all the best in this new endeavour and I will hopefully be following the evolution of the new greens and look forward to playing on them come September time.